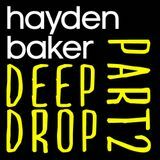 Hayden Baker “08 DEEP DOWN"
Hayden Baker "07 DIGGIN DEEP"
Hayden Baker "06 DEEP DROP PT 2"
02 " THE DEEPER I GO"
I am a professional DJ with over 20 years experience. Initially established in London and founder of Bespoke DJ&apos;s. I am capable of delivering a diverse range of genres for weddings, events and private parties. 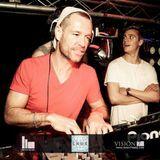 My mixes currently on Mixcloud are for the love of House music. I have recently relocated to Cyprus and, I am available to work anywhere on the Island and, Internationally. I hope you enjoy my mixes.